As children, we all dreamed of going on fantastic journeys and engaging in daring feats. For kids who are disabled, walking, playing, or jumping can be as much the stuff of dreams as slaying a dragon or training to become a wizard. 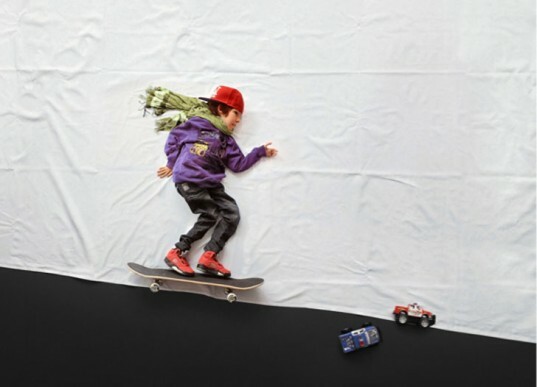 Slovenian photographer, Matej Peljhan was able to create an incredible adventure for twelve year-old Luka, a boy suffering from muscular dystrophy. 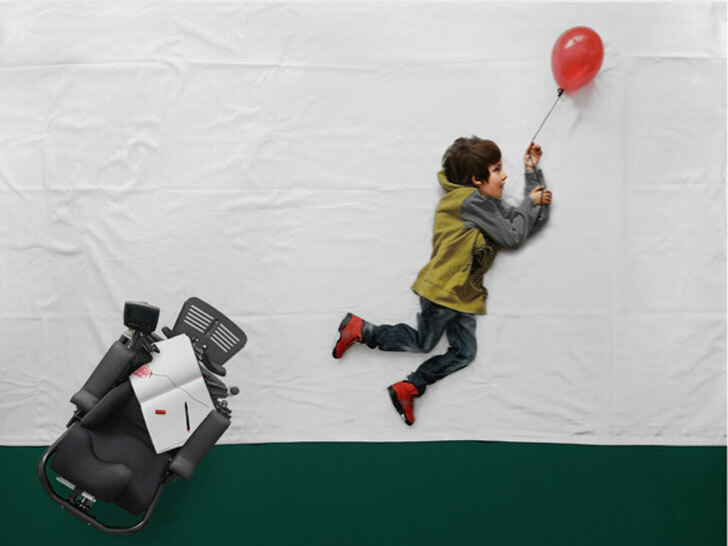 Placing him against a myriad of backgrounds, Peljhan was able to give Luka worlds to explore and activities to accomplish that would otherwise be impossible with his degenerative condition. Peljhan understands firsthand the challenges of having a disability. At the age of 10, while playing with his friends, he was caught in an explosion caused by scattered WWII era devices that resulted in him losing his right arm and eye. He had to undergo painful rehabilitation and recovery while attending school. In 1992 he finished his studies in psychology at the University of Ljubljana. Currently working in clinical psychology, in addition to photography, Peljhan spends his time running triathlons — including twice competing in the Ironman. In 2009 he began to become interested in camera work, and until recently, he only exhibited his work for single exhibitions at home. Due to increased attention, he has been able to send his pictures to over 100 salons across the globe, and he has received numerous awards. Peljhan’s unique blend of empathy towards those with special needs and his artistic skill allow him to capture the lives of those living with disabilities. Along with a close friend, he has founded The Institute of Photographic Therapy where he offers workshops on the subject and publishes professional articles. Peljhan understands the challenges of having a disability. At the age of 10, while playing with his friends, he was caught in an explosion caused by scattered WWII era devices that resulted in him losing his right arm and eye. He had to undergo painful rehabilitation and recovery while attending school. In 1992 he finished his studies in psychology at the University of Ljubljana. Currently working in clinical psychology, in addition to photography, Peljhan spends his time running triathlons -- including twice competing in the Ironman. In 2009 he became interested in camera work, and until recently, he only exhibited his work for single exhibitions at home. Along with a close friend, he has founded The Institute of Photographic Therapy where he offers workshops on the subject and publishes professional articles.